Soul Coughing’s demise wasn’t a major surprise to many folks. The constant bickering over songwriting credits and publishing was enough to end the band’s all-too-short career in 2000. 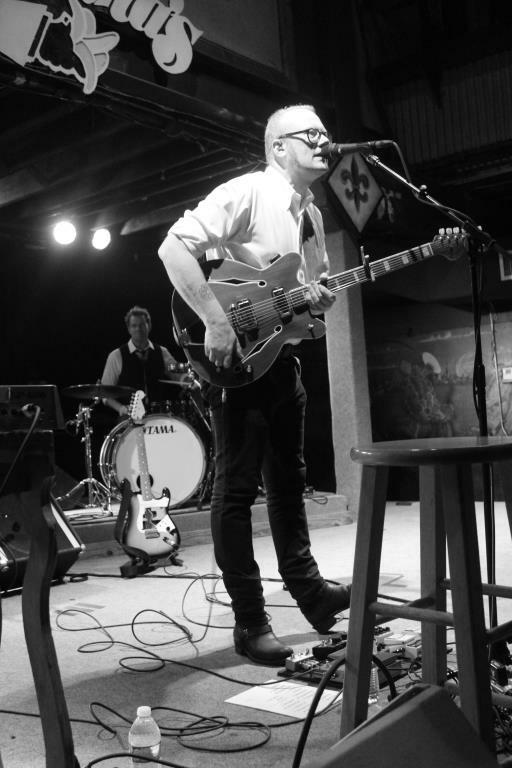 Fast forward to 2013 and Mike Doughty has reclaimed his Soul Coughing material and re-recorded several of the tracks to his liking, claiming that the band manipulated them in the beginning. He brought his reworked tunes and tongue in cheek personality to Tipitina’s on Friday night. Soul Coughing’s coerciveness and outside-the-box attitude could only be complimented by very few openers. Moon Hooch was just the band to do the trick. A three piece from New York consisting of two saxophones and a drummer brought their blend of jazz, dance, and funk (Cave Music / ˈkāv myo͞ozik) to the stage. The band’s high energy set kept the crowd entertained and wanting more by the time it ended. After a quick change, Mike Doughty took to the stage with Catherine Popper on upright bass and Pete Wilhoit on drums. The band was solid and in no way came across as a Soul Coughing carbon copy and thus revealed the beginnings of Mike D’s renewed vision. A prime example of this reworking came in the form of the three songs after “Lazybones”: “Screenwriter’s Blues,” “Uh, Zoom Zip,” and “Mr. Bitterness.” Mike took the opportunity to show off his gadgets and free flow to a bass track. Doughty’s spoken word, stream of consciousness delivery gave a whole new feeling and understanding to the tracks. At the beginning of “St. Louise is Listening,” Mike D. used a phone app as the introduction samples. Throughout the night, Doughty took the opportunity to play with his gadgets and further experiment. This set was an amazing adventure into the mind of Mike D.